Pagination allows you to control how many products display on a single page within your online store. 3. Click Edit then go to the Design tab. 4. 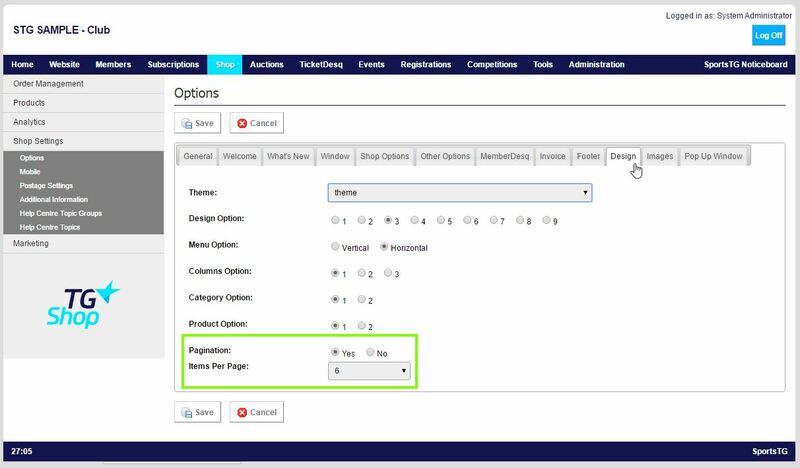 Set Pagination to Yes, then select the amount of items per page that you would like on your online store between 1 and 50. Note: If Pagination is set to No, then all products within that category will display on the same page, regardless of the amount of items.